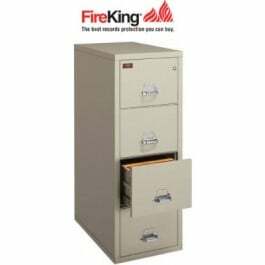 Best in class legal width fire safe file, this 25" depth cabinet comes standard with features that others brands call options... This cabinet has a UL Fire & Impact Rating, ETL Rated for Media, Medecco High Security Key Lock and a powder coated finish and is a top pick for our customers. Approx. Shipping Weight: 551 lbs.